Vegan Eats and Treats! : Hotel Eating in Colorado! 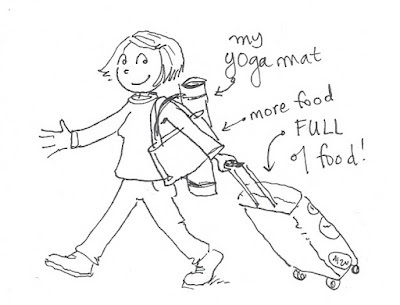 A couple of weeks ago, I had the grand experience of traveling to Colorado for a Yoga and Sanskrit workshop. 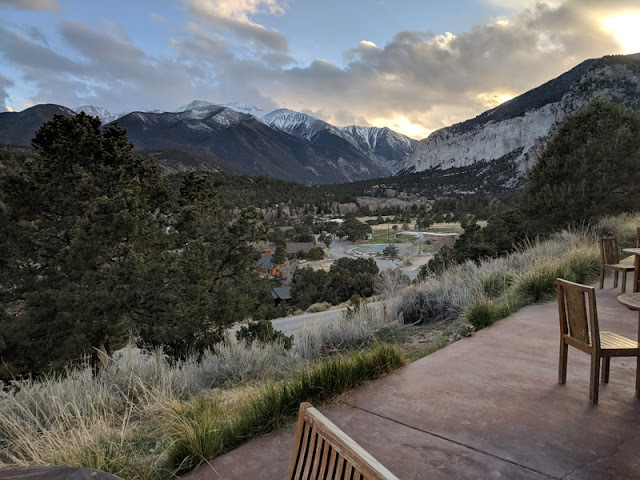 The workshop was held at a really beautiful spot, the Mount Princeton Hot Springs Resort. I had never been to a hot springs before! or to Colorado! I had such a wonderful time and I've been absorbing and digesting all the learning I did. It was a great experience, in just about every way. Dudes. This was the view from my hotel room. What?! Colorado is really, really beautiful. This beautiful spot was about 3 hours SW of Denver ... quite far from any of Colorado's beloved vegan restaurants or natural foods stores! Luckily, I was well-informed! 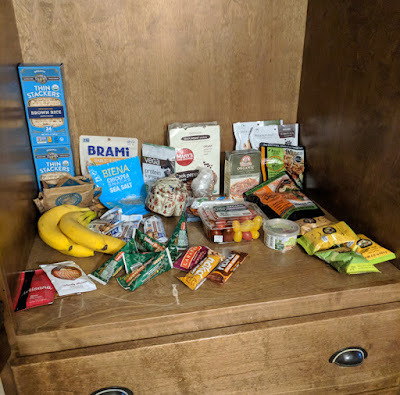 So, I brought a lot of food with me (basically I just went through my pantry and plucked a bunch of weirdo items that were languishing). Once I landed in Colorado, I made a beeline for Whole Foods to get a few perishables. I made sure that I'd have a microwave and a mini-fridge in my room. 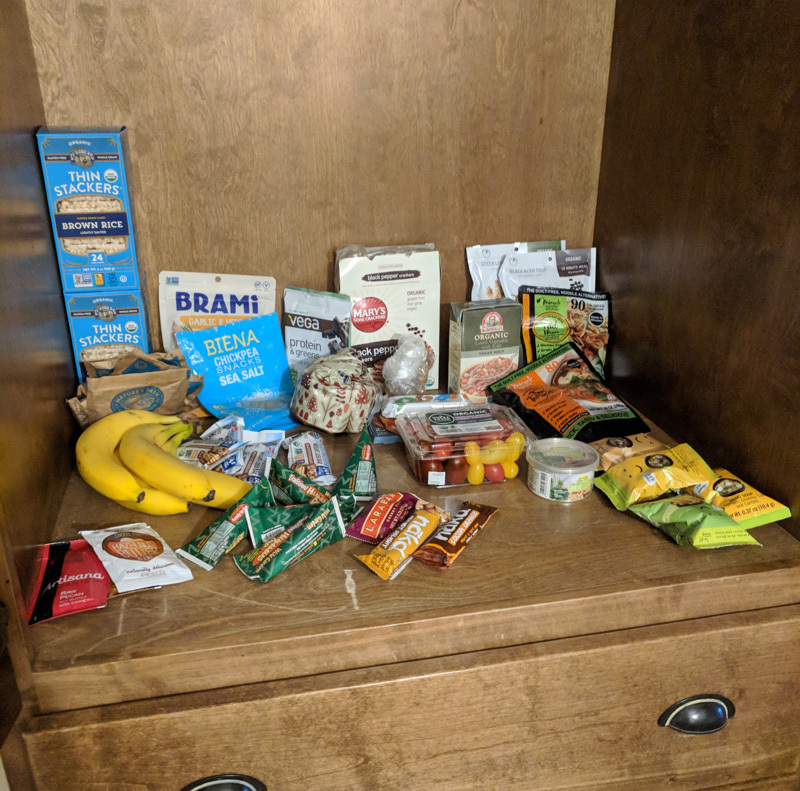 This is my little hotel pantry set up. I didn't actually end up eating all of this, but it was nice to have a good array of choices! 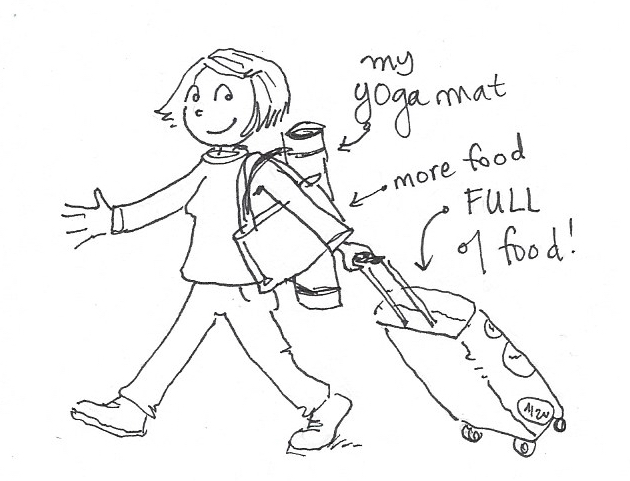 Like a well-versed vegan, I always travel with a lot of food... but this time I traveled with A LOT OF FOOD. ha ha ha. 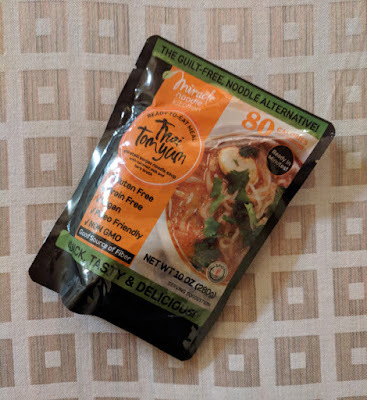 I bought this Thai Tom Yum a while back for a vegan swap I was supposed to do with someone who was following a Keto Diet. And after I bought everything, they never wrote back again. ha ha. So, suddenly I had a bunch of keto stuff I wouldn't usually buy. 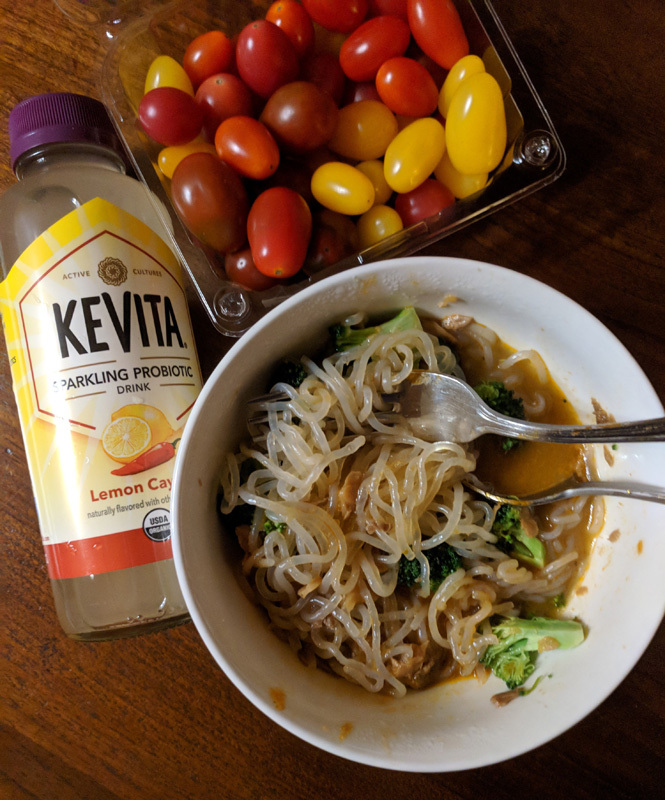 I had my vegan Tom Yum soup with added water (to make it more hydrating), and I added some microwaved broccoli florets. I must say, I was pleasantly surprised by this packaged product. It had some legit spices and seasoning! 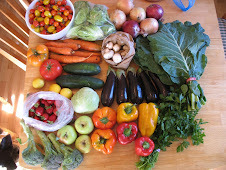 It also definitely benefited from the addition of some green veg. 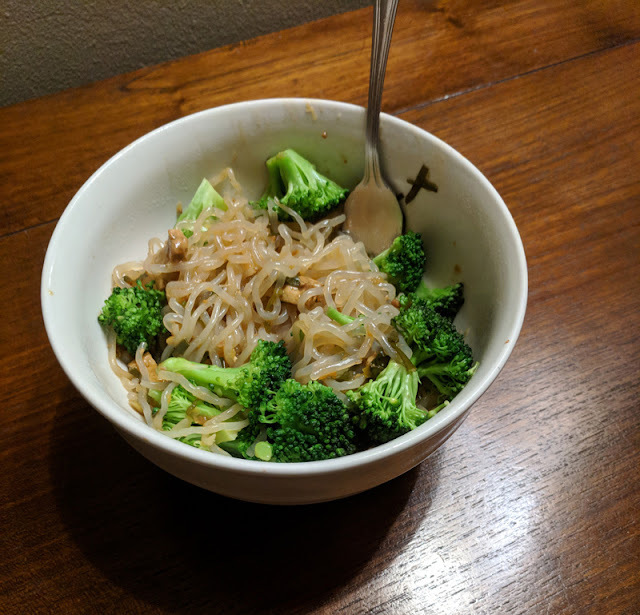 The broccoli florets were a last-minute inspiration and brought me so much joy during my 4-day adventure in microwave eating. I just microwaved them in a mug with a little water to steam them. I eat so many green veggies at home and this was an easy way to have veggies in my hotel room. Next time I will buy two bags of broccoli florets so I don't have to ration them! 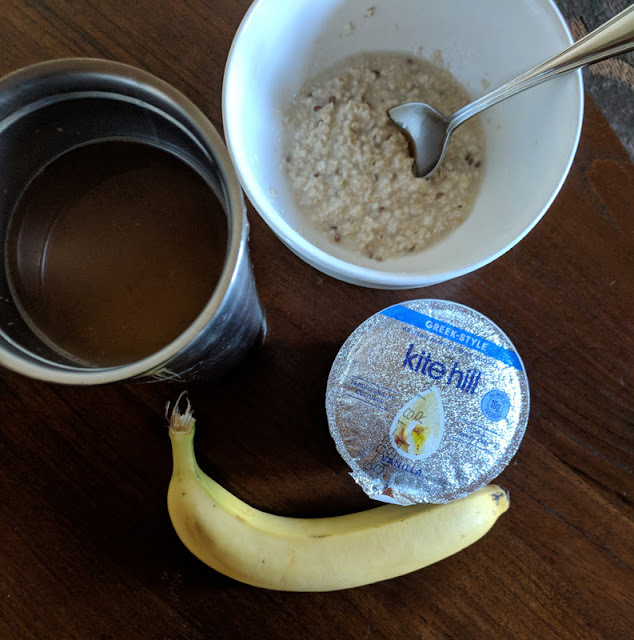 I had pretty much the same thing for breakfast everyday while I was there: Instant oatmeal, half a yogurt (I only bought two, so I made them last), a banana, and coffee. I thought I'd be able to find soy creamer at the Whole Foods in Denver, but they didn't have any. What's up with that??!! So, I bought the Ripple Half and Half, which I didn't really like. I thought it made my coffee taste weird and fishy. :( Boo. Instant Oatmeal is really not my favorite. It's always so gluey and sugary. Next time I go, I'll have to come up with a more thrilling and satisfying breakfast plan. I looked at a lot of the oatmeal cups, but they were also all super sugary. Any suggestions? Notice how my yogurt is all poofed up? Because the elevation there was quite high (8,250 feet)! This frozen meal from Frontera was the culinary highlight of my trip. 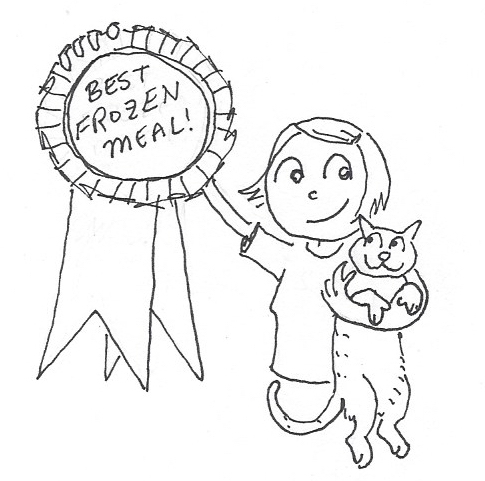 This bowl was *by far* the most delicious frozen meal I have ever had. I was so impressed. As you can see - the bowl is full of real beans, real and sizeable veggies, herbs and seasonings. It was flavorful and satisfying, and was actually just very tasty. I am officially grateful! I didn't have a freezer in my room, just a mini fridge, so I only got a couple frozen items since I knew I'd have to eat them in the first day or two. I'm so glad I got this one! Would eat again! A long time ago, Patagonia sent me two dehydrated soup mixes. 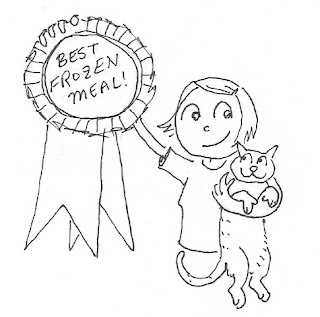 Unfortunately, I never reviewed them because I was always home with actual fresh food to eat. I'm sorry, Patagonia. Anyhow, I hauled them along for this trip. I made the Black Bean Soup for two meals (using microwaved hot water, mixing it together, and then microwaving again for a bit). I had also picked up some Heidi Ho Cheeze Sauce in Denver, and I added a big dollop to my soup as well as to my Broccoli. I gotta say, this soup was also pretty good. I think maybe dehydrated foods have come a long way since I last had them! The flavor was good and there were spices and it was actually quite satisfying. 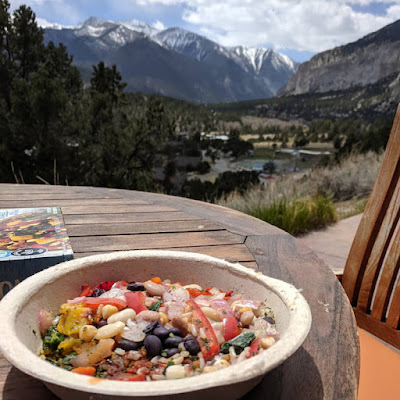 It was good to eat a lot of soup and steamed veggies because between the altitude and the extremely dry climate, you really gotta stay of top of keeping your body hydrated. One day I spilled my water bottle all over the passenger seat in my rental car and by the very next day it was completely dry - as though it had never happened!!! WHOA Colorado. You can tell which pictures are lunch pictures and which pictures are dinner pictures, because I ate my lunches outside looking at the beautiful mountains, and I ate my dinners after dark in my little hotel room! I had picked up an Amy's frozen bean burrito at Denver Whole Foods, and I didn't realize that I had accidentally grabbed a gluten-free version. I'm sorry to say, I was not very enthusiastic about that gf tortilla. I ate the bean filling, had some miso soup, crackers and cherry tomatoes. 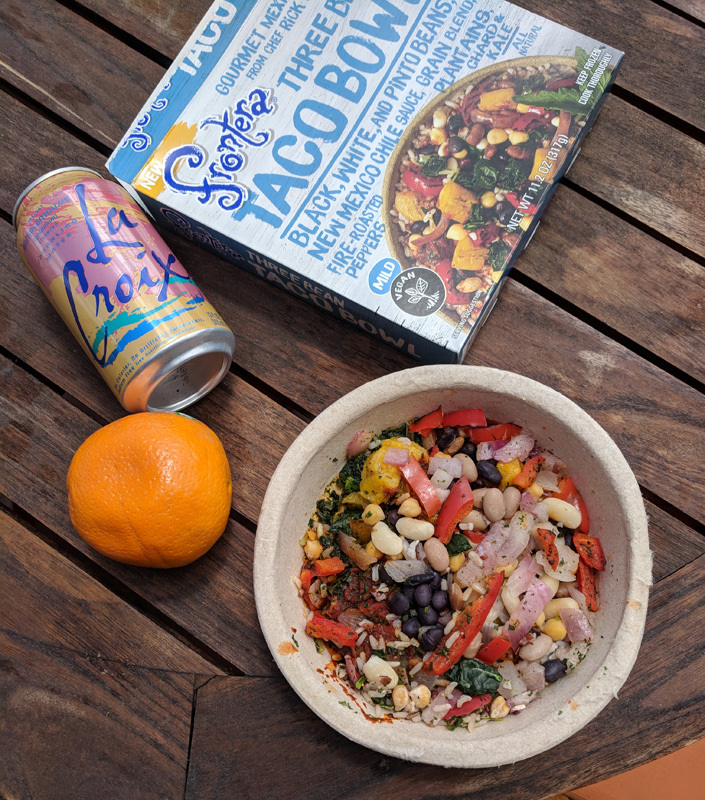 Still a pretty satisfying light dinner. I really like these little Tsubi miso soup cubes - have you ever had them? They are so amazing - they weigh almost nothing, and when you open the package there's a dehydrated little cube in there. But when you add the hot water, suddenly you have a really nice cup of miso soup with herbs and mushrooms and goodies! I highly recommend them! 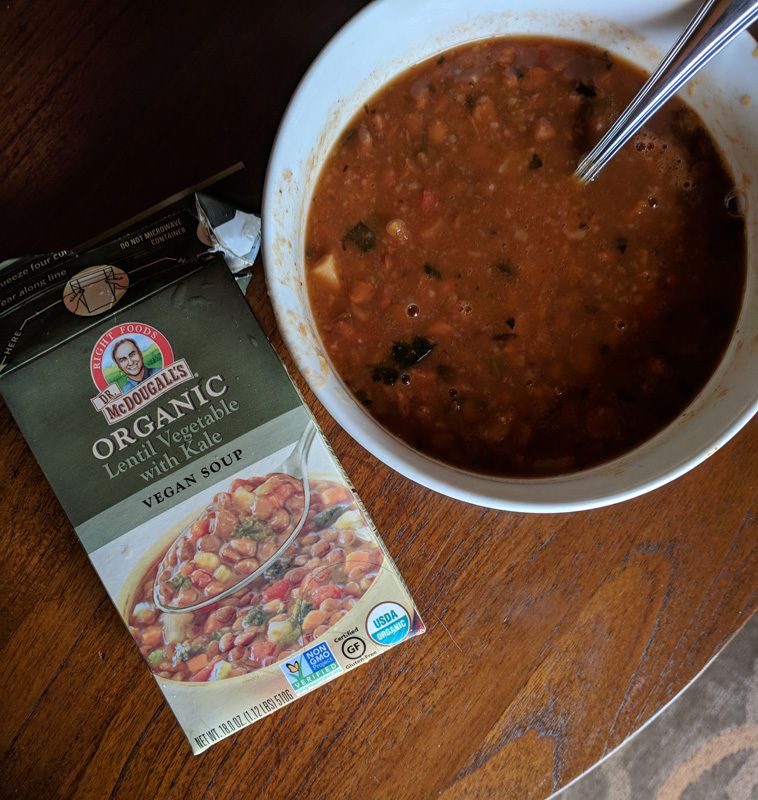 I also picked this soup up at Whole Foods, and it was pretty good! I don't eat much prepared / packaged food usually at home, so I probably wouldn't buy this just to have around the house. But if you rely on prepared food to help you get through your work week, I would recommend this soup. It had a good nutritional profile, tasted like real food made with real ingredients, and was quite tasty (and not a hideous salt bomb compared to many canned/packaged soups!). 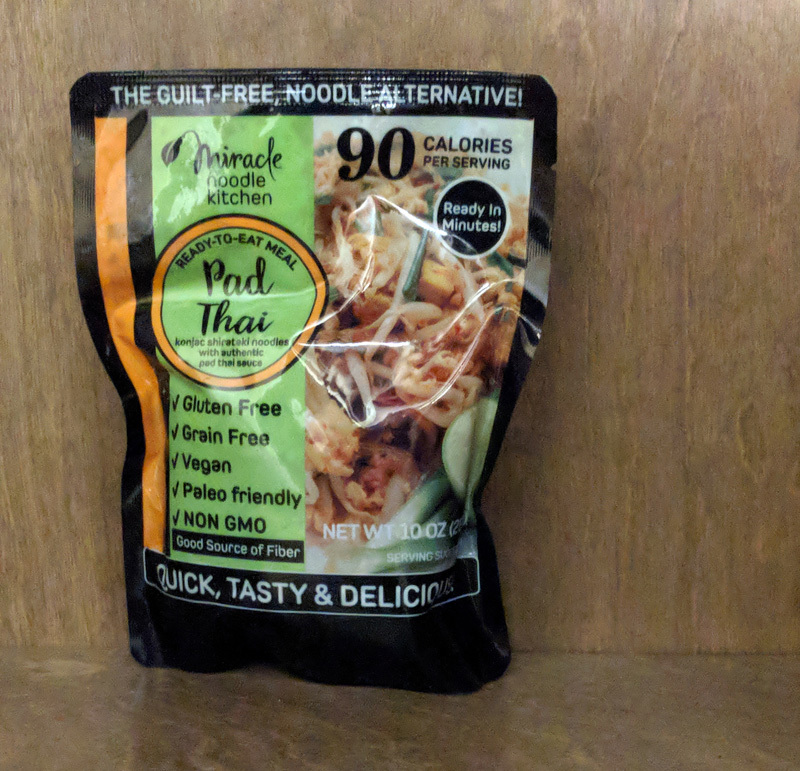 I also tried the Miracle Noodle Kitchen Pad Thai, which was fine, but I didn't like it nearly as much as I enjoyed the Tom Yum. The flavors weren't as strong or interesting to me. I suppose if you prefer more mild spices, you might actually prefer this one - but I like the spices and spiceness of the Tom Yum. As you can see, I added the last of my precious baggie of broccoli, which was a major bonus. I think this meal would have felt pretty bleak without the veggies! On our drive back to Denver, we saw TWO moose, right on the side of the road. 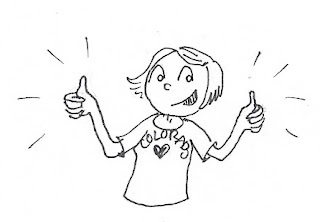 I absolutely lost my cool (such as it is). 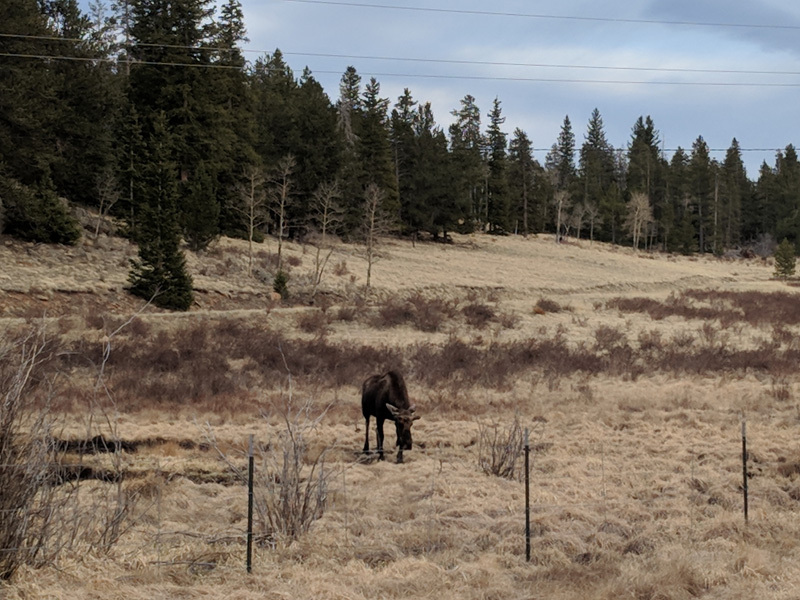 I have wanted to see a moose for SO LONG and it turns out that seeing a moose in real life is not at all disappointing and they are truly huge and amazing creatures. Such a cool moment. This was the view when I walked from my room down to the space where we had our yoga classes. Despite living off bean soup and paleo noodles and microwaved broccoli florets for 4 days, I think you can see why I would 100% do this again! Those views are really spectacular! I think it would be so hard to live on mostly packaged foods for even just a few days. Have you tried making your own instant oatmeal packets with oats, dried fruit, cinnamon or whatever you like? I haven't done it, but I've seen recipes that you can do ahead of time in single servings and just add non-dairy milk or water later. Also, I like overnight oatmeal that is heated up. I don't think it's as goopy as those oatmeal cups, and it would be pretty easy to make it the night before if you have oats, banana and non-dairy milk (or whatever you like in your overnight oats). Just two thoughts that might help with the breakfast dilemma! 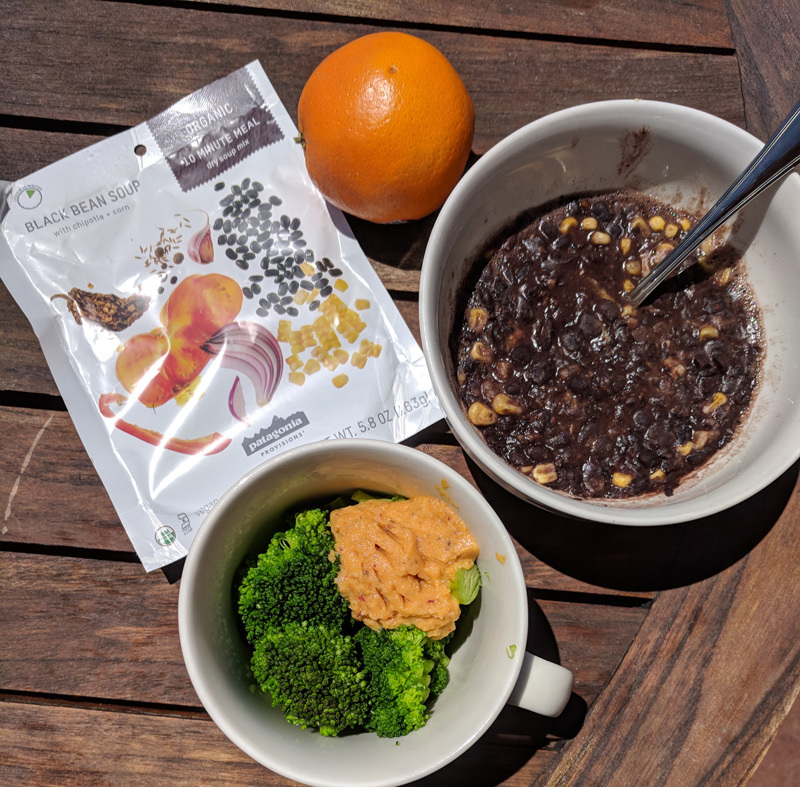 I've used this blog post as a template to make my own packets, but I increase the oat bran to half and add hemp seeds. You can add any combination of nuts, dried fruits, and seasonings. I like candied ginger and dried mango! It sounds like a fun and beautiful trip! I took regular rolled oats with me at my last hotel stay and microwaved them with some raisins and chopped up apple. I've also made overnight oats (or morning of oats!) by soaking oats as Elizabeth suggests above. Colorado is so beautiful! I have only been to Denver once, many years ago, but the mountains were just stunning. I second (third) overnight oats. That is what I normally do if I don't have a microwave. I just take along a small container that I can soak my oats in overnight, plus fun things to add! 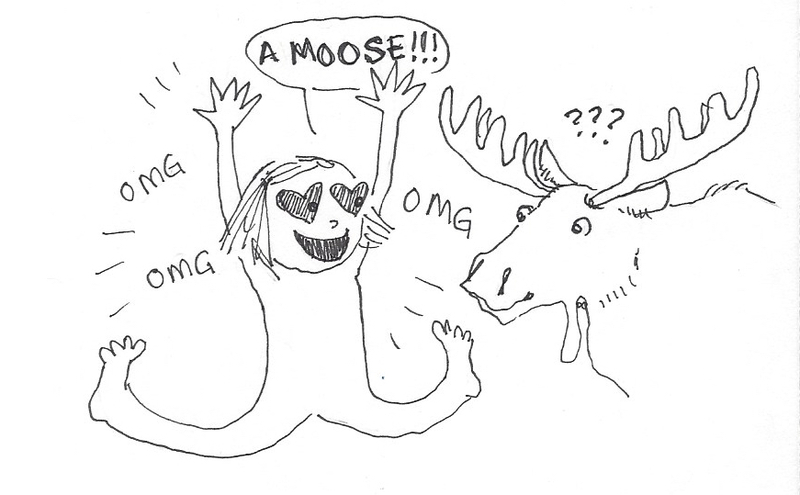 Might be less smooshy. Your Colorado IG posts gave me such Colorado wanderlust! In my early 20's I spent a lot of time in California, because my then-boyfriend had a family condo there. It was a regular vacation spot for us and so completely gorgeous. I really want to get back there sometime soon. For breakfast, I'd get baked tofu slabs from Trader Joe's or Wildwood. Trader Joe's has a sriracha & teriyaki flavor, and Wildwood has a savory flavor. Then at Trader Joe's, you can also get guacamole that's packaged in individual packets. For me, one packet lasts two days, as long as I push down the plastic to cover it, and then put it in a baggie. Finally, I'd get a loaf of bread. Most hotels have a toaster in the common area where continental breakfasts are served. I'd toast bread, slather on some guacamole, and lay a few slices of the baked tofu. This hearty avo/tofu toast is one of my favorite breakfasts right now when I don't have a ripe avocado on hand. I always travel with way too much food haha! I love Colorado. My husband and I met in Denver and we want to go back for a visit so bad. It's just so gorgeous there. Wow! Colorado is so beautiful! It definitely looks like my kinda place. You managed to eat so well in your hotel room - I always resort to way to many Oreos and crackers but I like this broccoli florets idea! 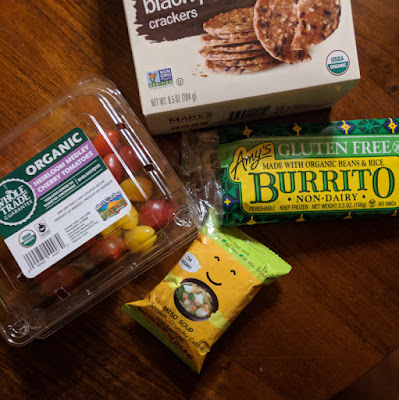 I'm sorry about the accidental GF burrito, those things are nowhere near as good as the gluten-full kind.